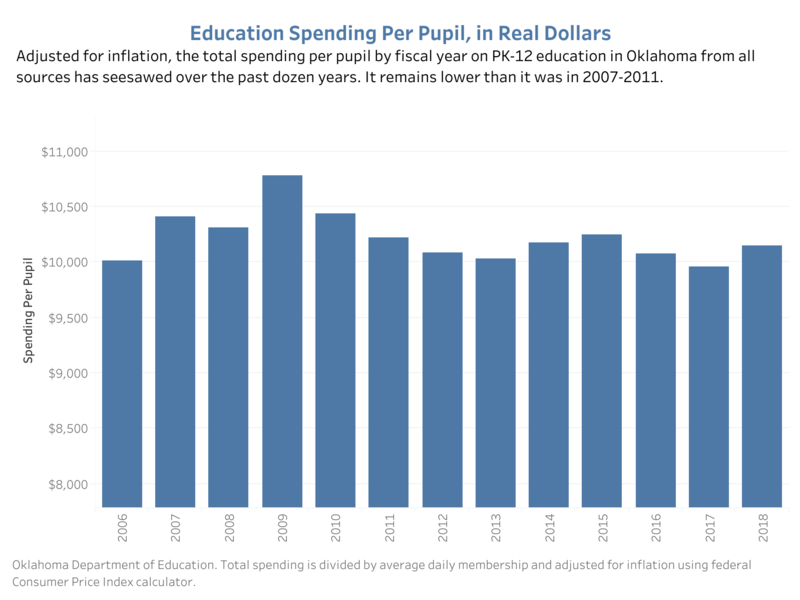 Among the national rankings, Oklahoma continues to be one of the lowest spenders on public education in the nation. 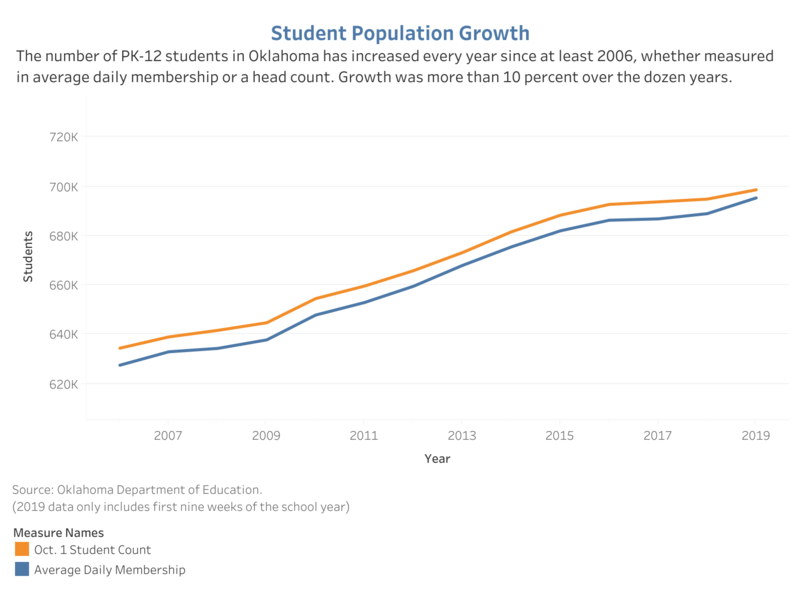 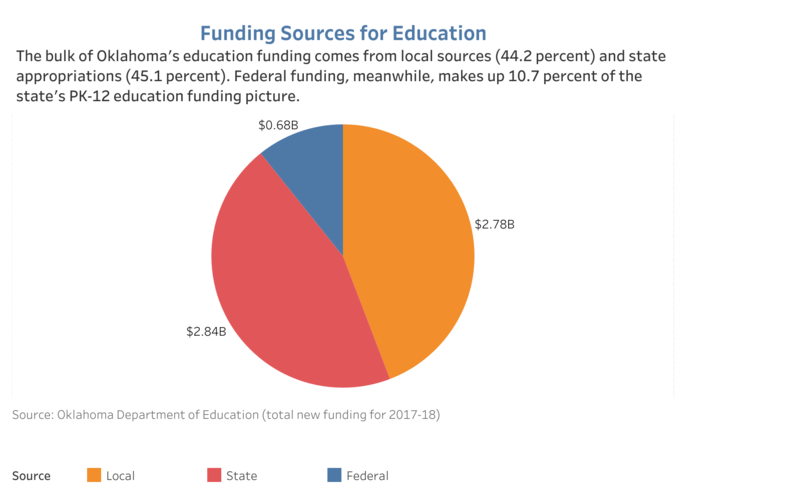 In per-pupil spending, both the Census Bureau and the National Center for Education Statistics rank Oklahoma fourth lowest among states and the District of Columbia. 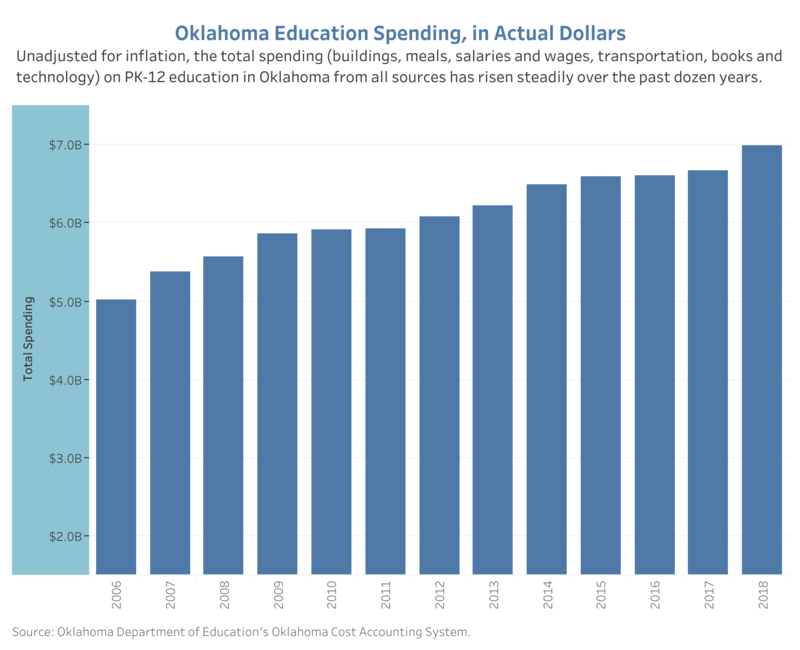 Experts disagree on whether cost of living plays a role in those rankings, in terms of spending on teacher and other school salaries.